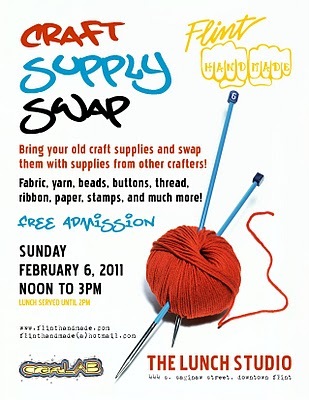 It’s time again for Flint Handmade’s semi-annual Craft Supply Swap! Completely free, and open to anyone who wants to donate, pick up or both, the swap runs from noon until 3pm this Sunday at the Lunch Studio in downtown Flint. FH welcomes any craft supplies at all that you might have to bring, but especially is looking for stained glass and glass mosaic supplies, yarn, crocheting needles, embroidery floss, hoops and needles. 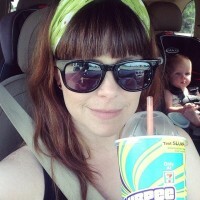 More info on Flint Handmade’s blog.